Chicken Swedes have followed Europe’s biggest domestic football leagues during the season 2015-16: in the summer of 2015 when we studied the odds and gave you some predictions. After that we have made a post every now and then with some status updates. I this post we present the winners of Premier League, La Liga, Ligue 1, Bundesliga and Serie A. We, and most of the predictors and book makers were wrong about this year’s winner of Premier League. In August 2015, the small club of Leicester tops the league with three straight wins. No eyebrows raised, it was early in the season and favorites Chelsea or any of the teams from Manchester would soon wake up. We had tipped Arsenal as a winner. In November Leicester’s Jamie Vardy first player to score in eleven straight games. In December, Leicester is once again at the top of the league after three more consecutive wins. The success story continuous in 2016. April 10, Leicester secures a place in the 2016-17 Champions League. Even though Vardy gets a red card and two matches suspensions, Leicester still manages to defeat Swansea 4-0. With three rounds remaining they are seven points ahead of Tottenham in second place. After a 1-1 draw against Manchester United, Leicester will be the champions if Tottenham fails to defeat Chelsea. The game ends with a 2-2 draw. Leicester has won the 2015-16 Premier League, to an odds of 5000 times the stake. This can be compared to the odds of finding Elvis Presley alive 2000x, evidence of the Loch Ness monster’s existence, 500x and similar long shots. We look forward to following Leicester in the 2016-17 Champions League and as reigning champions of the Premier League! 4: Newcastle (1927), Sheffield Wednesday (1930) and Manchester City (2014). 3: Huddersfield (1926), Wolverhampton (1959), Leeds (1992) and Blackburn (1995). 2: Preston (1890), Portsmouth (1950), Burnley (1960), Tottenham (1961) and Derby (1975). 1: Sheffield United (1898), West Bromwich (1920), Ipswich (1962), Nottingham (1978), Leicester (2016). The French league 2015-16 was about as exciting as watching drying paint. This question was really just whether Zlatan Ibrahimovic and Paris SG would succeed in the Champions League. However, they got eliminated in the quarter finals against Manchester City. PSG won Ligue 1 in March 13. Ibrahimovics last match in Ligue 1 was a brilliant show by the Swedish attacker. He scored two goals against Nantes and got the scoring record in the league. After his second goal, his sons entered the field with shirts reading “King” and “Legend”. A suitable finish for the “Zlatan-era” in Ligue 1. In the German league Bayern Munich dominated from start to finish. The fans expected success in the Champions League where Bayern got eliminated by Atletico Madrid in the semifinals. The Spanish league are usually a showdown between Real Madrid and Barcelona. An exception was in 2014 when Atletico Madrid won La Liga. The 2015-16 season began with injury problems for Barcelona’s big star Lionel Messi. His comeback was successful, however, and the three amigos, Messi, Neymar and Luis Suarez placed Barcelona in the driver’s seat. They also won the season’s first El Clásico against Real Madrid. Real replaced their coach, which would prove to be a successful move. They won the season’s second El Clásico and 2016 became an exciting league race when Barcelona lost some more points surprisingly. Before the last round differed only 1 point between the giants, with Atletico trailing in third place. Both Real and Barcelona did their duties in the final matches, which meant that Barcelona was defending champions. Luis Suarez scored a hat-trick in the last match against Granada and made sure the Catalonians defended their title from 2015. The question before the 2015-16 Serie A season was whether Juventus would win their fifth consecutive Italian league? The answer was eventually yes, but it too a while. As Chelsea in Premier League, Juventus got a rough start. However, they raised their game and got the decisive victory April 25th. Juventus won Serie A 2016 9 points before second placed Napoli. 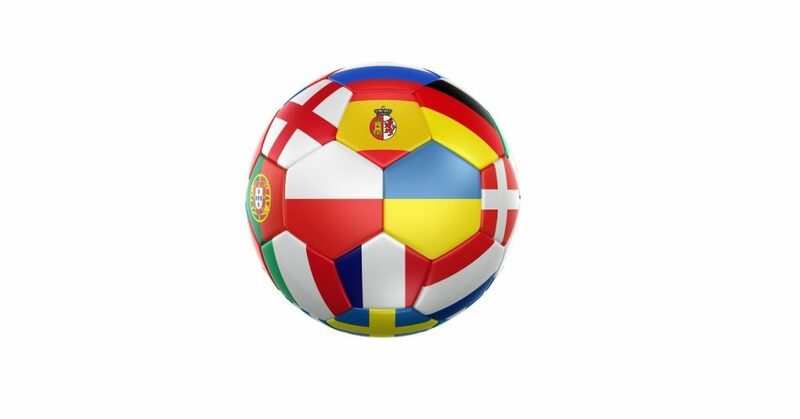 In this post, we check the status of Europe’s biggest football leagues: Spanish La Liga, English Premier League, Italian Serie A, French Ligue 1 and German Bundesliga. In La Liga, we find last year’s champions Barcelona at the top. Their main rivals, Real Madrid is at third place, having sacked coach Rafael Benitez, replacing him with former French superstar Zinedine Zidane. The main focus in media has been on the two giants and El Clásico, however, at second place in La Liga Atlético Madrid has sneaked up, just 1 point behind Barcelona after 20 matches played. This season’s biggest surprise, Leicester is still at the top of Premier League. Manchester City and Arsenal are trailing three points behind. The English league is one of the most exciting and tight national football leagues this season. Chelsea were favourites before the season started. We placed our earnings on Arsenal which is still a good bet. However, the Gunners also have the Champions League playoffs to worry about were they are put up the toughest opposition ever in the Round of 16: Last year’s winners Barcelona FC. As we wrote in the title: The old lady has awakened! Hopelessly trailing after the first months, last year’s Serie A champions Juventus are now at second place, just 2 points behind Lazio. Inter is chasing at third place. Juventus are also put up against tough opposition in the Champions League: They will face German giants Bayern Munich in the Round of 16. Our guess is that they will top Serie A but be eliminated from Champions League before March 2016 is over. Ligue 1 is pretty much decided. Zlatan Ibrahimovic and Paris SG is dominating at the top with 19 wins and 3 draws. However, this season is not about the national titles for PSG: They are aiming to advance in the Champions League where they are once again put against Chelsea in the play offs. Bayern Munich is Germany’s answer to Paris SG. Everyone is expecting them to win the national titles but the fans demand more: They want another Champions League title. Last time they lifted the trophy was in 2013. In Bundesliga, Bayern have 16 wins, 1 draw and 1 loss. Dortmund is at second place and the team from the capital, Hertha Berlin, is having a good season and can be found at the third place. Nothing new here, really. As in our reports from October and November, Bayern Munich is in a clear lead at 40 points, followed by Dortmund at 32 points. For Bayern, this season is all about Champions League. Together with Barcelona, they are the team that have impressed most on us, especially when they defeated Arsenal 5-1. They will continue to defeat the opposition in Bundesliga and the question is not if, but with how many points they will win the league. Barcelona has the grip of the top position in La Liga after defeating Real Madrid in the first El Clásico of the season. With one match lesser played, they are at a comfortable 3 point lead before Real. Atlético Madrid is chasing one point behind their Madrid rivals. The French league is pretty much already decided with Paris SG at the top with a 15 point lead before Angers. As with Bayern Munich, the fans are expecting progress in Champions League this year. Premier League is a more open history this season. Before the season started, Jose Mourinho’s Chelsea was favourites but have had a miserable season so far. Instead, Leicester(!) is at the top after 15 rounds of play. However, only 3 points differ between team 1 and 4 (Leicester, Arsenal, Manchester City and Manchester United) and the league is a nail biter so far. Similar to Premier League, 4 points differ between the top four teams: Napoli, Inter, Fiorentina and Roma. Also, Juventus has awakened and is chasing the top four, one point behind. The next report comes in 2016. Then we have a new year and the teams will have to focus on both the Round of 16 in Champions League as well as winning their weekly matches in the national leagues. A football season is a marathon and the teams that can endure the longest will win. Stay tuned as we continue to report from the best football leagues in the world. It’s been a month since we looked at the standings in the European football leagues. In this post we will look at the top teams of Europe’s biggest football nations: German Bundesliga, Spanish La Liga, French Ligue 1, English Premier League and Italy’s serie A. Nothing new here. Bayern Munich are still at the top with 11 victories and 1 draw. Dortmund is 5 points behind. At spot 3 and 4 we find Wolfsburg and Schalke at 21 and 20 points. Unless something totally unexpected happens, Bayern will win the Bundesliga this season as well. However, the fans require that they also advances in the Champions League. They are playing Arsenal on November 3rd. A month ago, both Barcelona and Real Madrid were struggling in the Spanish football league. However, now they are at the top at 24 points each. Maybe it will take an El Clásico to separate the two teams? The next El Clásico is played Saturday, November 21. Celta Vigo is third at 21 points and Atlético Madrid 4th at 20 points. Nothing to see here folks. Paris SG is still at the top, as expected. The fans require them to win every title in France, but the question is how they will do in Champions League? They played a goalless tie against Real Madrid last round. Lyon, Angers and St Etienne are all at 22 points, 10 points behind PSG. In Premier League, Chelsea keeps disappointing and the question is not if, but when Jose Mourinho will get fired. In the last match against Liverpool, Chelsea got the early go ahead goal, but in the end of the day they lost by 1-3. At the top of the league we find Manchester City and Arsenal, both at 25 points. Leicester is at third place at 22 points, 1 point before Manchester United. I guess we could some this up so far by stating that Chelsea and Leicester is the biggest surprises so far. This is perhaps the most even league among the big five. Fiorentina and Inter are at the top with 24 points each. Roma is chasing behind at 23 points and Napoli at 22 points. Last season’s champions Juventus are struggling at 10th place. We will be back in December with another report from the best football leagues of Europe. However, before then we will focus on Champions League and the Euro 2016 play off qualifiers. Most of Europe’s football leagues have been going for about a month now. In this post we will take a look at the top of the leagues versus the pre-season predictions. We will cover French Ligue 1, Italian Serie A, English Premier League, German Bundesliga and Spanish La Liga. Let’s take a look at the top four. Last year’s champions Barcelona is struggling in the Spanish league. They lost their last match away against Sevilla. Lionel Messi and Andres Iniesta injured. After 6-7 matches we find Villareal at the top of La Liga at 17 points. In second place Celta Vigo (with Swedish striker John Guidetti) is chasing at 15 points. Barcelona is third, also at 15 points. Real Madrid is at fourth place, with one match lesser played. While the top four teams have a couple of draw results each, Barcelona is the only among the four that have two losses. We will see if the Catalonians can turn the tide. There is also a political struggle in Spain which can result in Barcelona being excluded from La Liga: If Catalonia is declaring its independence from Spain, they won’t be a part of a) Spain b) The European Union or (perhaps worse) c) La Liga. The big pre-season favourite in Premier League was Jose Mourinho’s Chelsea. However, they have had a rough start of the season and are not a part of the top four. Instead, Manchester City is in the lead. They have got 18 points after 8 played matches. Arsenal and Manchester United is second and third at 16 points and Crystal Palace at fourth place with 15 points. The top three teams have 2 losses each. The rest of the Premier League might be hard to predict this year. Beforehand, we advised to consider placing a bet on Arsenal so we will stick with that. Many Swedes follows Paris Saint Germain in the French Ligue 1 because of Zlatan Ibrahimovic. PSG is in a clear lead to this date, 20 points, 2 points before second placed Angers, with one less match played. Caen and Rennes is at third and fourth place. Paris has got a good start of both Ligue 1 and Champions League. They will win many titles in French this year, but will they be at the top of the Champions League? Time will tell. The match against Spanish Real Madrid will be a good indicator of exactly how good PSG 2015-16 is. Juventus won serie A 2014-15. This year they lost a number of key players, Andrea Pirlo for example. They have had a rough start with only one win in seven tries so far. At the top we find Inter at 16 points, followed by Fiorentina at 15 points. Both teams have 5 wins in 7 respective 6 matches. Roma and Torino is third and fourth with four wins each. Although to early for any predictions, Juventus might keep struggling this season, having lost the team’s core. Bayern Munich was the big pre-season favourite and they are looking to deliver on that prediction. They are at the top of Bundesliga, 8 straight wins, 7 points before second placed Dortmund. Schalke and Hertha Berlin is at third and fourth spot. None of these teams can challenge Bayern for the domestic titles, however the fans are demanding more from Pep Guardiola’s men: They want the champions league where Bayern is currently two for two. We will be back with another report from Europe’s soccer leagues in a month.